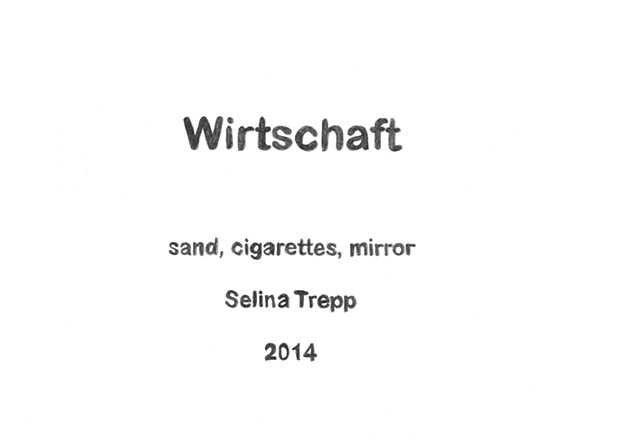 The drawing series Selina Trepp 2007 - 2017 consists of 11 drawings. Each of the drawings depicts an imaginary museum label, listing the work's title and materials, my name and the year of production, drawn in pencil. On the one hand they function as drawings in their own right, on the other hand they evoke the idea of work that will be made in the future and invite the viewer to imagine what these future pieces could look and feel like. I am interested in the idea of labels specifically in the art context, what they do once they are seperated from the thing they label and if perhaps the label itself opens up another imaginary space asking the viewer to fill in the blanks.